Sure, for the most part, baseball is baseball. But baseball can be a bit different — if it's played in another country in another part of the world. Lance Kreisberg found out all about that. 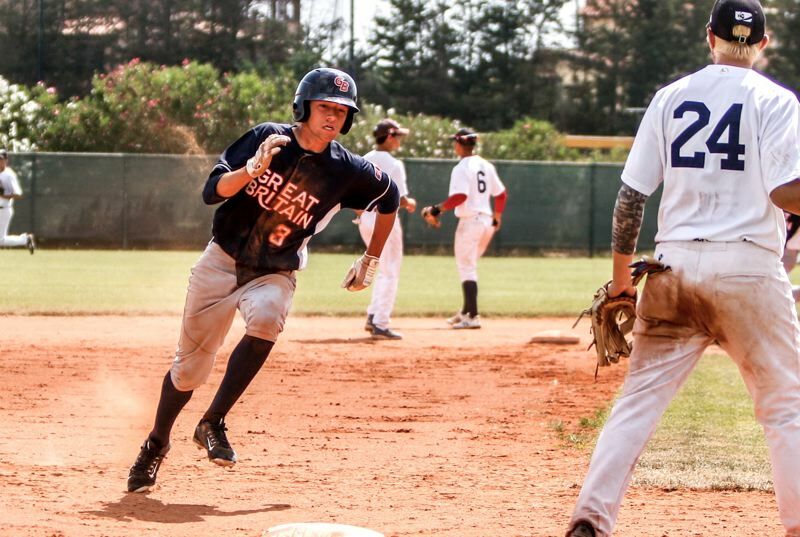 Kreisberg, a Tigard High School senior-to-be, spent part of his summer playing baseball for the Great Britain ages U18 squad that participated in the 2018 European Championships, held July 9-15 in Grosseto, Italy. "It went well," Kreisberg said. "It was a fun experience, playing baseball in a different part of the world. Everything was so different. Baseball was different, playing against other teams that didn't speak the same language." The differences started before Kreisberg, whose father, Lou, is from Great Britain, and his teammates event played a game at the tournament. "After our first practice, we had the opening ceremonies," Kreisberg said. "It was so different. It was held in the middle of town. There was a marching band and all of the teams from the different countries lined up. It was an hour-long ceremony, and it was pretty cool." 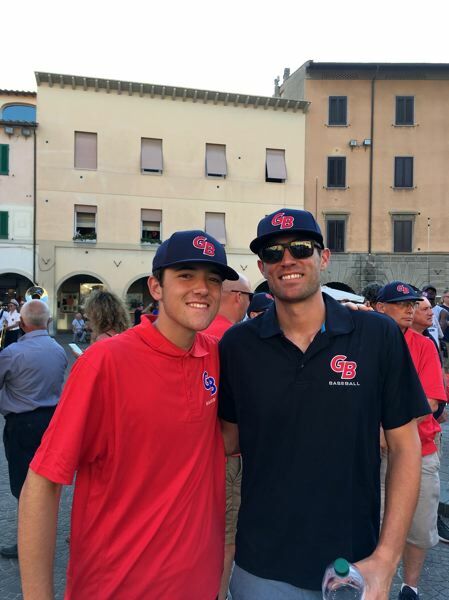 Kreisberg, during the trip and tournament, saw one familiar face, as his older brother, Spencer, served as the pitching coach for the Great Britain team. But all of his teammates were brand new to him. "It was kind of weird," Kreisberg said with a laugh. "Hearing all of the heavy accents. And, in our first practice game, I was batting in the No. 3 spot, and the No. 4 batter chipped his bat when he was up. He came back to his dugout and smashed it over his knee. It was the first time I've seen something like that." "The style wasn't really different, but the games were nine innings and we used wood bats," Kreisberg said. "That took some getting used to." 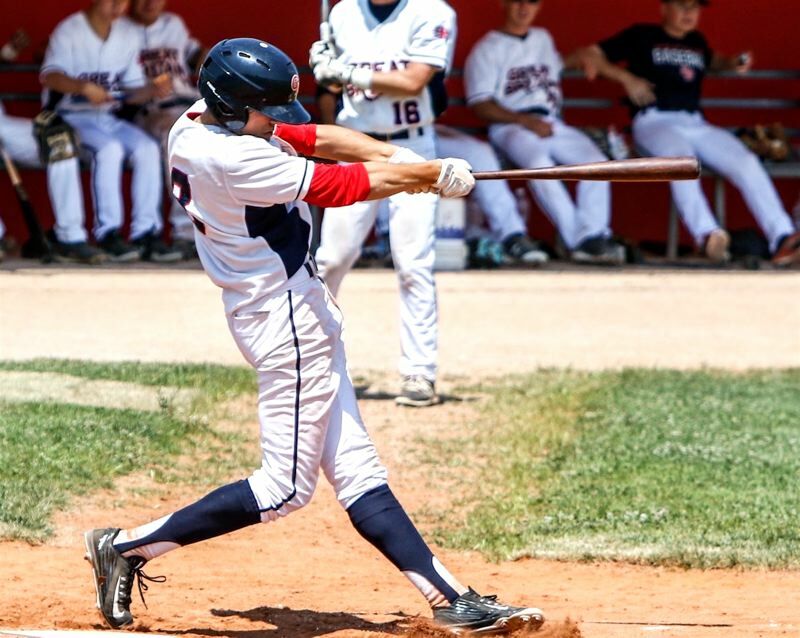 The Great Britain team opened the tournament on July 9 with a 21-2 loss to the Netherlands in a pool play contest. The Brits bounced back on July 10 to get a 10-9 pool play win over the Ukraine. Kreisberg, playing at first base and third base for Great Britain in that contest, had a big game, going 4 for 5 at the plate with two doubles, three runs scored an an RBI. On July 11, Great Britain was edged 11-7 by France in a pool play contest. Kreisberg had another double and scored a pair of runs in that game. On July 13, the Brits were shut out 16-0 by the Czech Republic in a pool play game. The next day, Great Britain fell 10-7 to Lithuania, in 10 innings, in a pool play contest. Kreisberg pitched the first four innings of that game, giving up two earned runs on six hits. He also went 3 for 5 at the plate with two more doubles, three RBIs and a run scored. Great Britain finished up tournament play on July 15 with a 9-1 loss to Germany. For the tournament, Kreisberg went 8 for 17 at the plate for a .417 batting average, which put him in a tie for 10th among all players. His five doubles led all tourney players. "That was cool," Kreisberg said. "Overall, it was really fun. It was amazing." And there was a lot to learn. "It wasn't all about baseball, but traveling," Kreisberg said. "I found what to do when you don't speak the same language." Kreisberg will be a senior on the Tigard baseball team in the spring of 2019. Last year, as a Tiger junior, he earned second-team All-Three Rivers League honors at designated hitter.